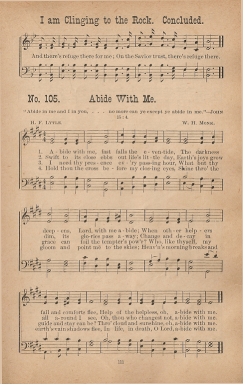 Lyte, Henry Francis as Lytle, H. F.
Oh, thou who changest not, abide with me. Thro’ cloud and sunshine, oh, abide with me. 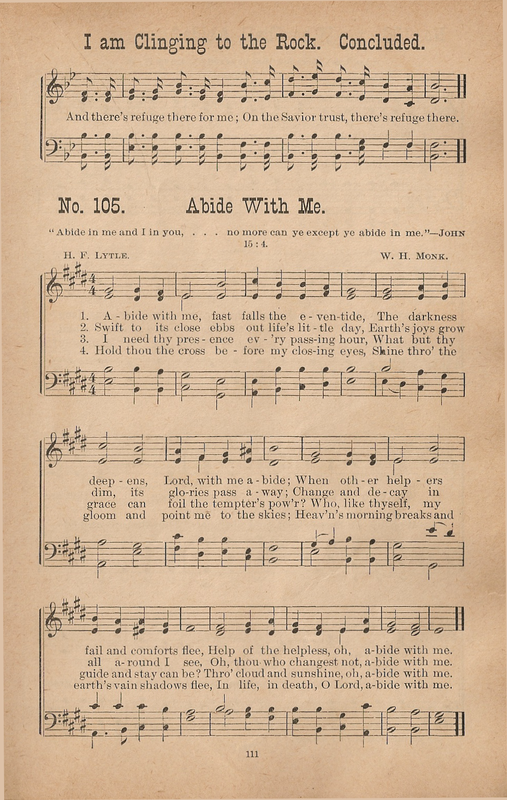 In life, and death, O Lord, abide with me.